The General Membership of BPW/St. Petersburg-Pinellas meets twice each month on the first and third Thursdays at 400 Beach Seafood and Tap House. Anyone may attend by simply making a reservation. The cost is $25 for BPW members, $30 for non-BPW members but you can save $5 when you make a reservation here by the day before the meeting. What time? Networking and registration begin at 11:30 a.m. giving everyone a chance to arrive and get settled before the program begins at noon. We typically wrap up by 1 p.m.
What is served? The luncheon is a plated meal, which can be selected at the time of registration. A vegetarian option will be available. Any dietary restrictions should be mentioned at the time of reservation. How do I get there? Click here for a Map and Directions. There’s 2-hour metered parking on Beach Drive and 90-minute street parking on 4th and 5th Avenues. You may also choose to park in the garage at 400 Beach Drive (entrance from 5th Avenue). The restaurant manager will validate your parking receipt. How do I make a reservation? To pay by credit card, click on the appropriate link below. BPW members may also e-mail your reservation to pay by cash or check at the door. Each meal will include a salad that will be placed at your table as soon as you take your seat. In order to expedite the process, please pick up your entree selection slip as soon as you enter and place it on your table before you begin networking. Before you submit: ALL guests must pay in advance. Once you click submit you will receive an email confirmation of your submission whether your payment is complete or not. A separate window will now open so that you may make your payment through Paypal. You can use a credit card or a Paypal account. 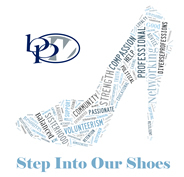 If the Paypal window does not appear or you do not receive an email receipt from Paypal, please contact forum@bpwstpetepinellas.org in order to arrange payment.